If a major attack incapacitated the president, Congress, or Supreme Court, the nation would have no way to replace them -- despite 12 years of warnings. I write this on the bright and sunny morning of September 11. Exactly 12 years ago, I was on my way to Dulles Airport. As I drove on the access road, convertible top down, I marveled at the beauty of the day. When I parked and went inside to get my boarding pass, the counter was abuzz with the news that, apparently, a small plane had wandered off course and hit the World Trade Center. I took the van across to the United terminal, and watched the news coverage for a bit while I waited to board my plane -- and saw the news that a second plane had hit the towers. On the jet bridge, we were stopped and turned back -- air traffic had been frozen as it became clear that this was not some errant pilot but something bigger. I retrieved my car and drove home, and turned on the television and watched, transfixed and horrified. By late afternoon, the news was that United Flight 93 had crashed in Pennsylvania and that brave passengers had thwarted hijackers from their terrorist mission. 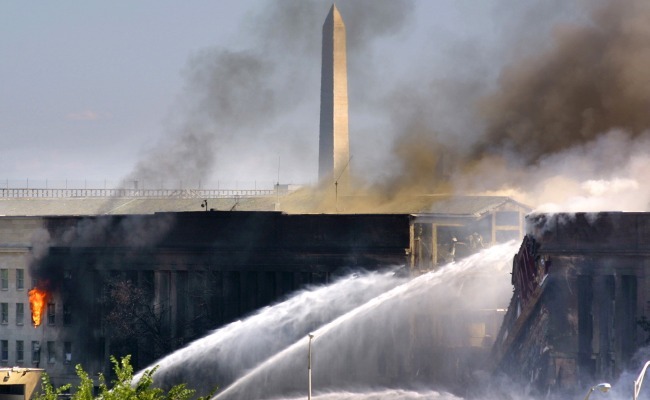 What made UA 93 different from the other flights that hit the Pentagon and the Twin Towers? It had left Newark, New Jersey, 45 minutes late, giving its passengers an opportunity to communicate with the outside world and learn that they were a part of a suicidal terrorist plot, not a standard hijacking. United 93 had been scheduled to leave at the same time as the flight that devastated the Pentagon. If it had not been delayed, the odds are that it would have reached its destination, which, I calculated that day, would likely have been the symbol of American democracy, the Capitol of the United States. That beautiful morning, the House of Representatives was in a pro forma session, but the building and its environs were filled with members; in the pre-security era, people were gathered on the steps, lawmakers were holding press events outside on the lawn, and several committees were meeting inside. If a giant commercial airliner loaded with jet fuel had hit the cast-iron dome, the building would have collapsed, and a combination of molten metal, large chunks of marble, and burning fuel would have rained down on the people inside and out. Those images went through my mind that afternoon -- along with a nagging thought: What if a majority of members of the House were killed or missing under the rubble? The Constitution is unambiguous about the quorum required to do any official business -- half of the members of the House or Senate. So I imagined what would happen in America after this horrific attack if there were no Congress. The House can only fill vacancies via special election -- and my research showed that those individual contests took on average four months, under the most placid of circumstances. A country without a Congress for many months would mean the equivalent of martial law, with decisions about going to war, suspending habeas corpus, and implementing draconian security measures done by executive fiat or with some jerry-rigged extra-constitutional improvisation. There would be no regular means to appropriate money for emergency disaster relief in New York or Virginia. To my horror, I realized that the United States had no plans in place to deal with a surprise terrorist attack, for any of the branches of government. The Presidential Succession Act of 1947 was antiquated and poorly designed. The Supreme Court had only a statutory quorum requirement of six; if it fell below that number, critical decisions about legality or constitutionality of actions would fall to one or more of the 14 Appeals Courts. The Senate does have, for most states, executive appointments to fill vacancies -- but as the subsequent anthrax attacks demonstrated, if, say, 60 senators were in intensive care for weeks or months with inhalation anthrax, there would be no vacancies and no quorum. I wrote a column in Roll Call shortly thereafter on this subject. Then-Rep. Brian Baird of Washington contacted me -- he had come to the same conclusion in the chaos on Capitol Hill that day, and we formed an alliance to do something about it. Senator John Cornyn of Texas and Jim Ho, his talented chief counsel on the Judiciary Subcommittee on the Constitution, joined our efforts. Shortly thereafter, Tom Mann of Brookings, my colleague John Fortier, and I were able to create a Continuity of Government Commission co-chaired by former Senator Alan Simpson and former White House Counsel Lloyd Cutler, to devise recommendations to ensure the continuity of the American constitutional system in the event of another disastrous attack. That is a long preamble to get to the conclusion in what has become for me a frustrating annual column. Twelve years later, our efforts have resulted in ... nothing of consequence. What is needed is, first, a constitutional amendment to allow emergency interim appointments to the House and Senate triggered only if there is a massive attack that disrupts the operation of Congress -- appointments that would end as soon as vacancies can be filled via real and meaningful elections, or when incapacitated lawmakers are able to return to their duties. Second, we need a revamp of the Presidential Succession Act to fit modern times. Third, we need to create by statute an Emergency Interim Court of Appeals to act as a fill-in for the Supreme Court in the event that it is disabled by an attack. In my view, the best way to people it would be with the chief judges of all the Appeals Courts along with any available members of the Supreme Court. Congress -- ;and that means the leaders of both parties in both houses -- has reacted to this gap in planning with indifference or hostility. Why? One reason is human nature, just like the unwillingness of smart people to write wills out of a superstition that it could actually trigger disaster and because of reluctance to raise delicate issues such as child custody. Another reason is that many House members have a visceral reaction against anyone being appointed to serve in the chamber because -- unlike the Senate -- its members have always been elected. The third reason is general inertia, a failing that is inherent in Congress. I can explain inaction, but I can’t condone it. Congress, for a dozen years now, has done a grave disservice to the American people and the sanctity of the Constitution. It is long past time to rectify that.